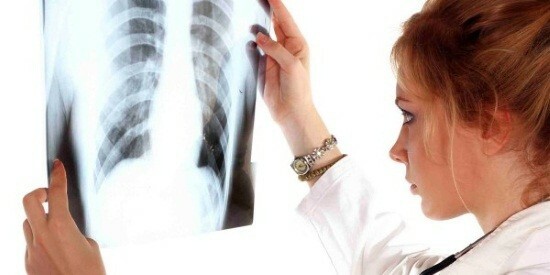 Despite the fact that modern medicine has a large number of different survey techniques, radiography still remains an important method of diagnosis of many pathologies, including respiratory system. A chest x-ray children assigned much less frequently than adults, and only under strict indications. What are these limitations and how the procedure of scanning in children? Children’s x-ray is performed infrequently, due to the negative impact of ionizing radiation on the human body, passing through the tissue, the rays ionize the growing cells, contribute to the development of mutations and damages the DNA chain that can be the cause somatic and genetic diseases. The confirmation or exclusion of pneumonia (pneumonia). Severe cough and a high temperature (above 38ºC), persisting for more than three days. Leukocytosis and shift leukocyte formula to the left in the blood. The impossibility of uninformative or other methods of examination. Suspected pathology of the thymus gland (thymus). Contraindications to chest x-rays of the child are severe General condition of the child, the bleeding, the age of 3 months. Newborns to do an x-ray is not recommended, but is permissible in extreme cases, when the benefits of the research will exceed received from him the harm. In comparison with adults, children’s x-ray is a little different. The main key to obtaining clear images is complete immobility of the patient during the scanning. 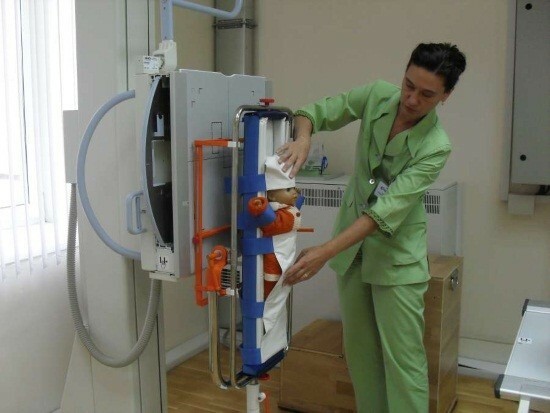 Children find it hard to satisfy such a requirement, so we developed a special device that ensures complete immobility of the child patient at the time of examination of the chest. The device looks like a special stand, which should go to the child, while his arms, legs and torso firmly fixed at the base of the fixture. In the study a special lead apron to cover all the organs of the baby, so they do not come under the influence of x-ray radiation. Normally, in radiography the parents are with the child, they should be provided with personal protective equipment. Children older than 12 years can enter the office unaccompanied. After a little patient is fixed in the fixture, rentgenkabinet out of the room and starts x-ray machine. The study itself lasts a few seconds, the child at this time does not feel anything, other than possible discomfort from the fixation. At the end of the scan to help children get up and get dressed, after which he can leave the office. Large modern clinic equipped with x-ray machines and digital recorders, whereby the level of the received radiation is reduced by several times. These devices allow you to capture images of the chest on the electronic device, transmitting the information to a computer. In most cases such devices come with private clinics, because they cost several times higher. If possible, children, it is preferable to digital radiography. How often do children get to do a chest x-ray? 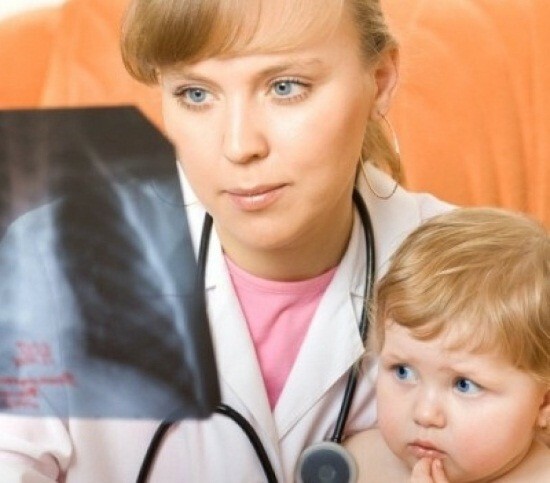 The frequency of appointments, chest x-ray children depends on the indication and nature of the pathology of the pulmonary tissue and bronchial tree. For example, if you suspect a tubercular process, the x-ray tests carried out once in three months for the assessment of disease and effectiveness of therapy. In the case of pneumonia diagnosed by x-rays is prescribed in 3-4 days since the end of the course of antibacterial therapy. Ionizing radiation is indeed capable of very negatively affect a growing body, but adverse reactions develop only in case of exceeding the maximum recommended radiation doses. A low dose load can not trigger a significant unwanted changes, so if you need x-ray examination of the child parents should not panic and to question the feasibility of the study. 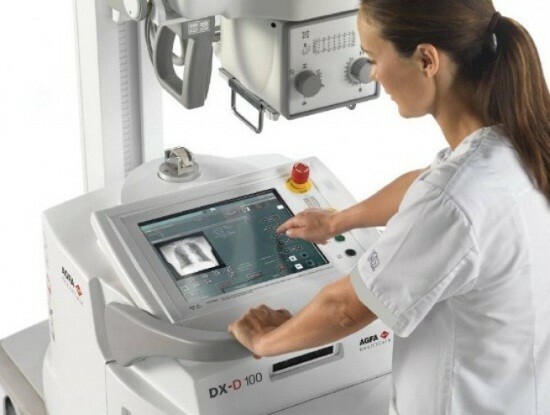 When performing radiography on a conventional machine to direct projection exposure is about 0.18 mSv. Under additional scans in the lateral projection of the radial load increases to 0.42 mSv. The maximum dose of human irradiation for diagnostic purposes, according to the recommendations of the experts, should not exceed 1 mSv in a year. After the first x-ray scan on a patient should start personal radiation passport, in which bring all of the information on the conducted x-ray surveys. Analogues chest x-ray, the alternative might be CT, but the radiation level in the survey increases tenfold, so children it is prescribed only in extreme cases. Every pathology of the respiratory system has its own distinctive signs on x-rays. For example, pneumonia is expressed in the darkening of a specific part of the lung varying in size. The size of the shadow you can differentiate between the forms of pneumonia – patchy, lobar, segmental or total. Intensity dimming you can determine the strength of the inflammatory process. Pulmonary tuberculosis on x-ray is defined differently, depending on the type of disease. Disseminated tuberculosis looks like multiple small lesions with clear boundaries. Focal pulmonary tuberculosis is expressed in one or more areas of darkening with a size of about 2 cm. In deciding the need for x-rays of the lungs of children should follow the rule – x-rays you need to carry out when damage from scanning less damage from disease. To take pictures in public clinics and hospitals in the direction of a physician or in private clinics. That shows a chest x-ray? Fluoroscopy and chest x-ray: what is the difference and which is better?